I have a vacancy card with fixed and negotiable salary. They can be switched using overrides. But when I change salary to negotiable I don't want text in that symbol to change. I want it to be locked from changes and display "negotiable salary". However, when I type custom text in fixed salary symbol and then switch it to negotiable - negotiable salary's symbol text changes to one of values of the previous symbol. You can see that "Negotiable salary" text field is locked but when I switch override I get "2389" which is not something I have in the original symbol. 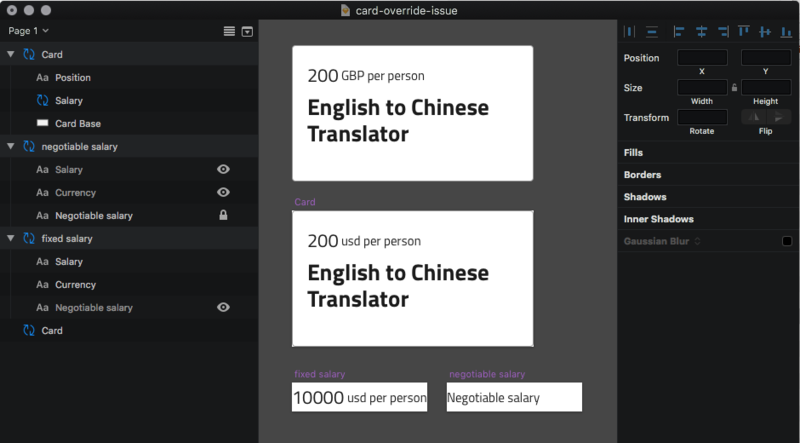 By the way, sometimes negotiable salary text field displays text written in currency field, so I suppose it's a bug. I hope explanation was clear, please give some advice as it drives me crazy. How can I lock the text from being changed when switching overrides? Then I hid the irrelevant layers and locked them, so ppl couldn't change them. Not the answer you're looking for? Browse other questions tagged sketch-app interface-design symbols or ask your own question. 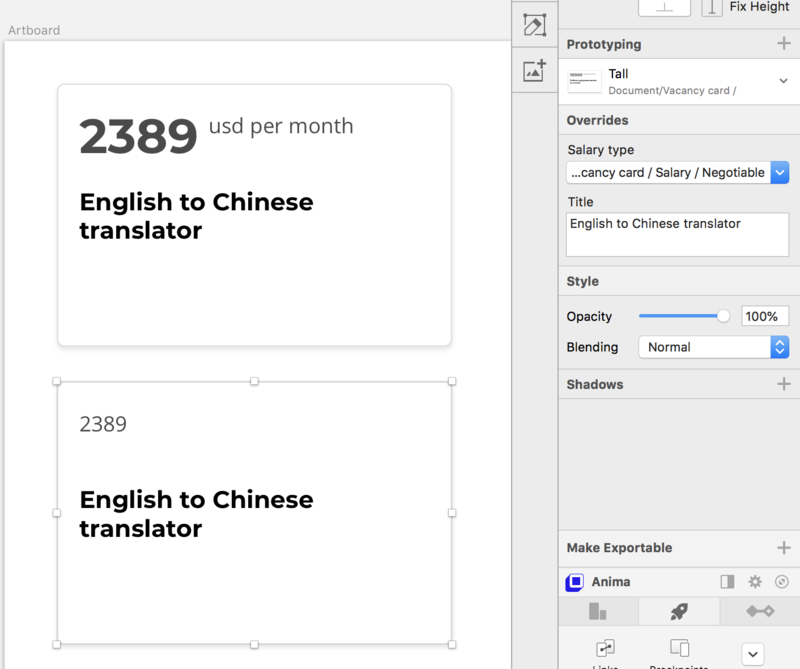 how to efficiently make a tab bar in Sketch? Sketch: Is there a way to use overrides and have text wrapping to push content down?